Thread: DACW Live is the place to be during the holidays! The DACW Live breakers, Sean and Alex, are happy to bring back a few elements from the National week to the holiday season! 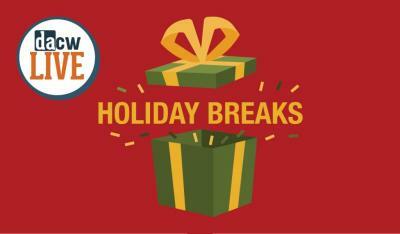 The breakers are making sure that DACW Live is the preeminent place for all of your holiday breaking needs! We are giving away over $1,500 worth of prizes! One person in each sold out break will be entered to win one of our grand prizes of store credit: There will be one $500 winner, one $300 winner, one $200 winner and five $100 winners! Plus there will also be plenty of random giveaways including the return of the famous suitcase giveaways which will contain store credit, singed memorabilia, unopened packs of cards and single cards to be randomly given away during the week. We have over 80 special holiday breaks up! You will know it is a holiday break because each one has ‘2018 Holiday’ in the title. We have old classics we have done in the past, as well as some new formats and new products we have not done before. Breaks are now up so lock in a spot or two now! If you didn’t take part in all of the excitement and mayhem at the National with us this year don’t miss out this time!! New to breaks? This will be the perfect week to try them out as we will have plenty of specially priced Holiday breaks scheduled from November 23rd – December 7th! One of the benefits of breaking from the office is that the breakers will also have access to all of the sweet products on the website for personal breaks. Dave and Adam’s are having crazy sales product as well. That’s right, if it’s in stock on our website then they will be able to break it for you LIVE! Follow the breakers over the next couple of weeks on Twitter (@DACWLiveBreaks) and Instagram (@dacwlivebreaks) to catch all of the latest breaking news. We are streaming on Twitch, Breakers.tv, and YouTube. All breaks will have a time and date so you can plan your days accordingly! The post DACW Live is the place to be during the holidays! appeared first on Dave & Adam's News.